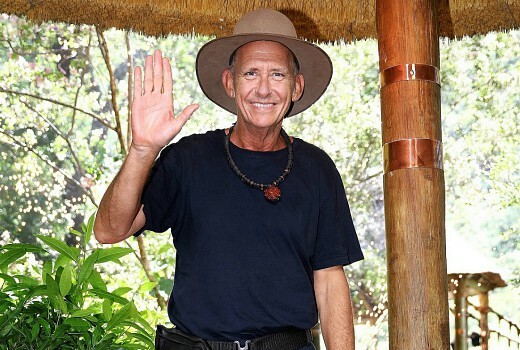 Comedian Peter Rowsthorn was voted out of I’m A Celebrity Get Me Out of Here just a day after host Julia Morris took issue with his comments. Rowsthorn had been widely tipped to be one of the show’s 3 finalists, frequently enjoying positive social media feedback. But a single line referring to Jackie Gillies as a “shitface” on Tuesday night drew the ire of Julia Morris. “Unacceptable way to speak about women,” she said. A day later Rowsthorn was voted out of the series. In his exit interview, the Perth comedian spoke about friends, family, weight loss, overcoming extreme challenges and his “Brenda & Ron” persona with Fiona O’Loughlin. But he was not quizzed on his comments about Gillies. Yesterday on radio, Gillies said she had been told of the remarks: “That I’m the most unintelligent person, that I’m a ‘bitchface’, a ‘shithead’ or whatever … I’ve got to be honest with you, that really hurt. I have to say, as I’m talking to you I’ve got one of the PR guys holding me because I’m trying hard not to cry,” she said. Rowsthorn indicated he wanted either Danny Green or Fiona O’Loughlin to win the 2018 title. Wow! That was a shock i thought he would have gone through to the end although i’m sure now he wont struggle to find work once he is back in Aus! I am hoping Vicky wins, although she isn’t an Aussie, she has done so much, been so entertaining, gets on with everyone and has really injected a sense of fun back into camp! It was nice of her to apoligise to Peter after he got eliminated too saying that it should have been her! Vicki, Fiona and Danny my tip for final 3. Noone worth watching now that Peter is gone. Surprised that Jackie didn’t cop a lot more than that, and it is interesting timing for the editors to choose to show that bit. Of course,at the moment women are a protected species, and they would probably want to create controversy. He has been really entertaining and great fun, as well as giving his all at the challenges and triumphing every time. Just a shame about those ill advised comments.. there were other nasty references to Jackie behind her back, besides the one he has admitted to. Was a little more than random venting”, as he and Danny have continually negatively targeted her for a while now. Think Pete was a sure thing to win until then but the comments lost it for him. Considering how she made a big deal of it during the previous episode, I do think Julia should have questioned him at least about his “shitface” comment, last night when he was evicted. Really shocked to see Pete go. In cases like this I think it occurs as many think ‘oh they’re a lock for the final. No need for me to vote’ and then things like this happen. Pete the meat is out…a lot more toned and slimmer than when he arrived. It’s anyone’s title there for the taking. On the question of Jackie…she was on the Housewives of Sydney? Yeah? Well those shows are notorious for their adverse comments and spiteful behaviour, so I don’t fully buy into her faux trauma….partially yes, but….